This is your basic no-frills fitted cap that pulls on easily and gets to work. Black with a low-profile peak and precurved visor. Black. 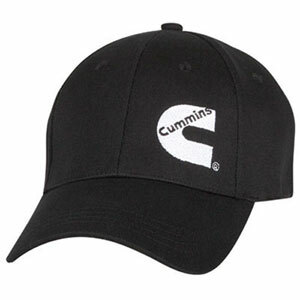 Embroidered Cummins "C" logo wearer's left front.